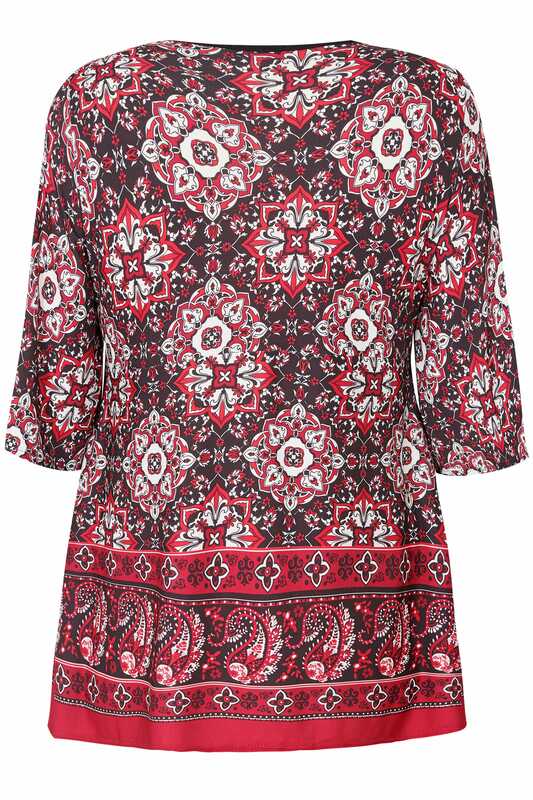 Tap into the tile print trend this season with this comfortable stretch jersey top. In a flattering wrap over front, it features soft kimono sleeves, an alluring v-neckline and a tie fastening to the front. For chic evening appeal, style it with a pair of black skinny jeans and some heeled sandals. 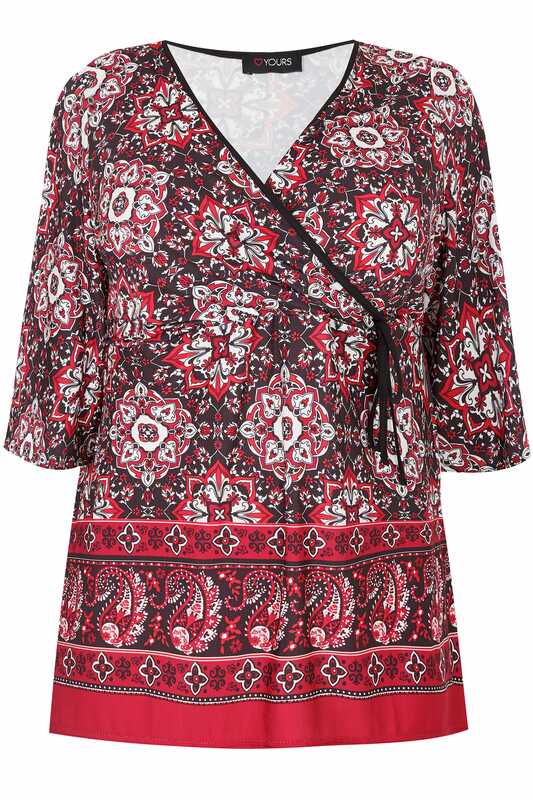 Totally chic and flattering, we are loving the tile print trend.